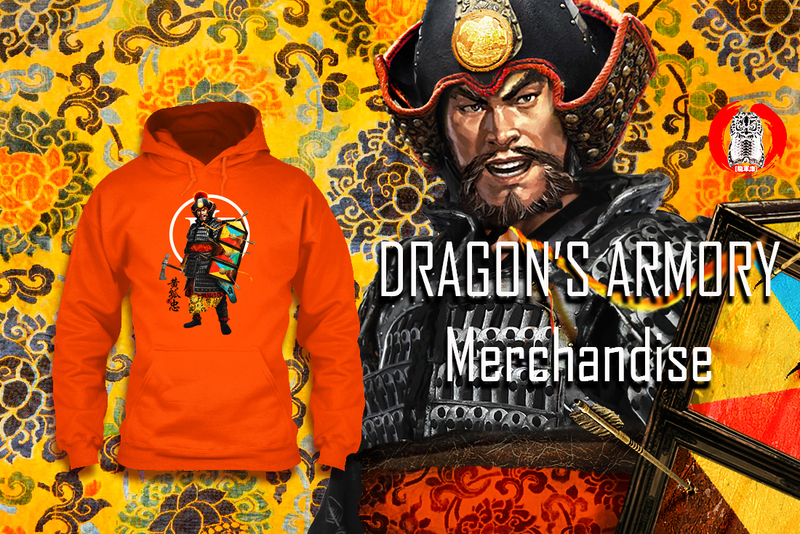 This site is made for all who are interested in ancient- medieval Chinese military history. The breadth of the information is largely going to range from the Classic period to 1912. 谢谢! 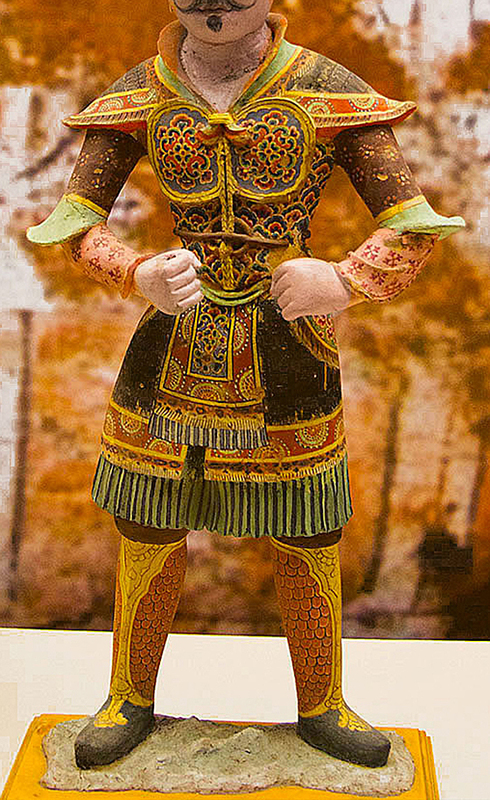 Tang figurine from the 8th century wearing the distinctive cord and plaque armor, distinguished by the twin breastplates that protected the torso, they were generally lighter than the heavier lamellar armor- and was one of the main reasons they were often preferred by the officer corp. 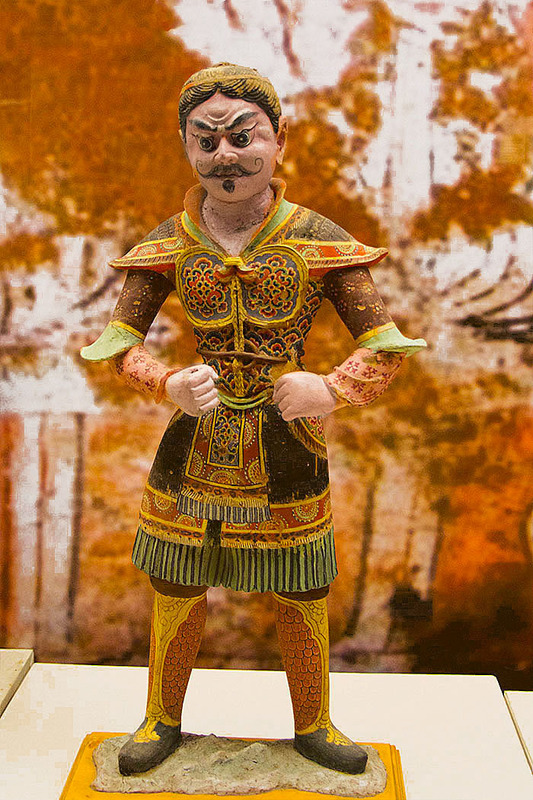 These armor marked the high status of its wearer- one of the reasons that many of the Tang dynasty tomb guardian figurines wears such armor. These shows just how vibrant these multicolored armors were. It was an ostentatious mixture of gaudy woven patterns, silk frills and gilded rims. 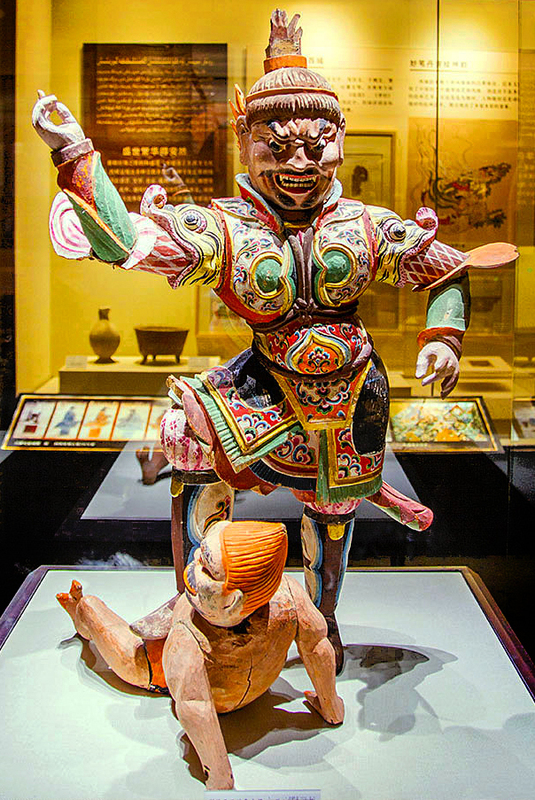 A demon killing tomb guardian wearing the cord and plaque armor. Note the extremely intricate designs and many layers of colors and patterns racing across his armor, especially the tiger/ fish like creatures which acted as his pauldrons. The most elaborate cord and plaque armors frequently depicted fierce animals, dragons or demons grimacing outward. You helped make this happen! 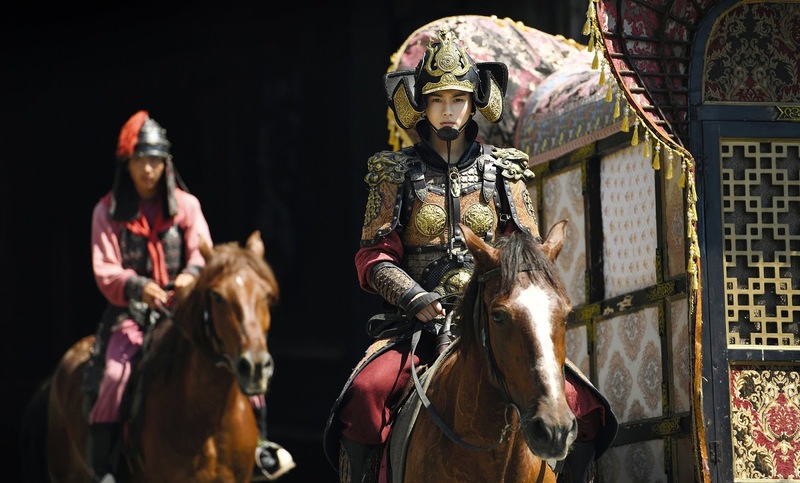 I am interested in learning more about Chinese armor and I love this site. However I am having some trouble knowing how to describe different types of armor. Are there words to describe, for example, the difference between the armor pieces on the Tang Dynasty Warriors? I know of lamellar and plaques, but I am not sure how to describe the 'skirt' pieces, arm wear, etc.